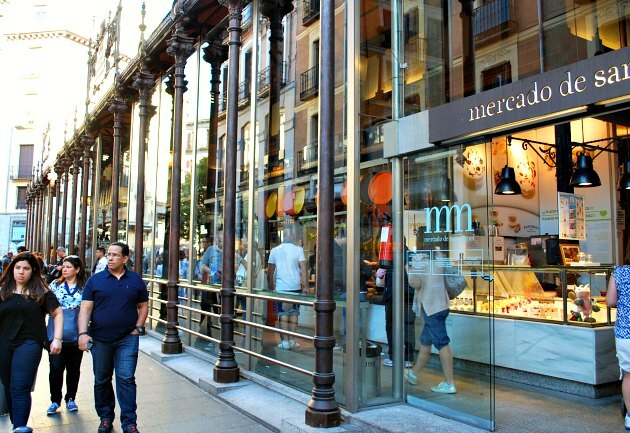 Mercado de San Miguel is an artisan food market in Madrid, set inside a beautiful building which dates back to 1916. It’s just a stones-throw away from the historic Plaza Mayor and once you enter you are greeted by some amazing sights and smells to stimulate the senses. Everything they sell here looks top quality, but it usually has a price to match. We enjoyed just walking around and looking at what was being sold. 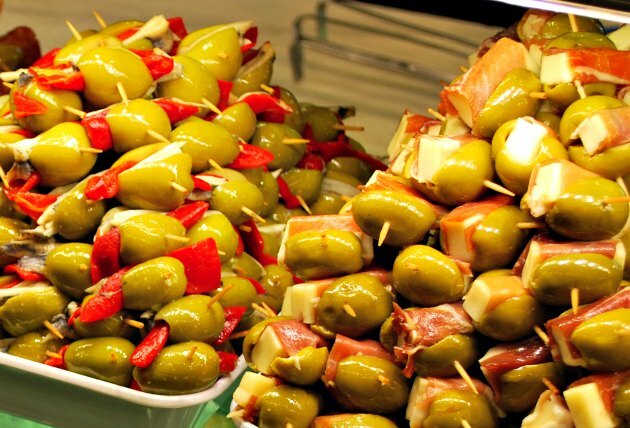 Stalls sell everything you can think of including fish, paella, cakes, olives, wines, tapas, smoothies and Spanish meat. There are some eating areas with seating inside the market but at busy times you can’t find anywhere to sit. We decided to take away and eat in our hotel room. 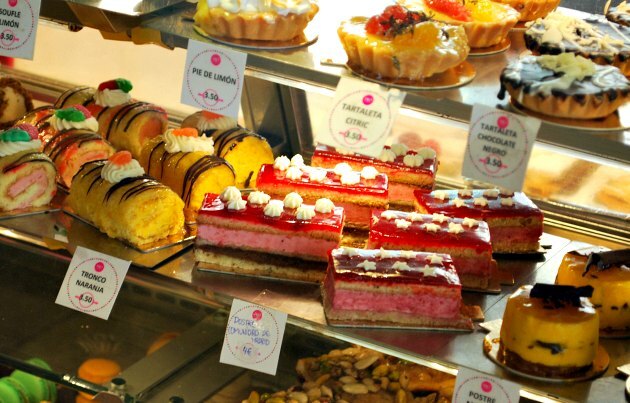 We tried some tapas items, Spanish omelette and luxury cakes for desert. In total we spent 12 Euros and although it tasted lovely, it was no more than a snack in filling you up! The speciality skewered olives at 1 Euro each, were just too expensive. One of the other joys of this building is the architecture itself. 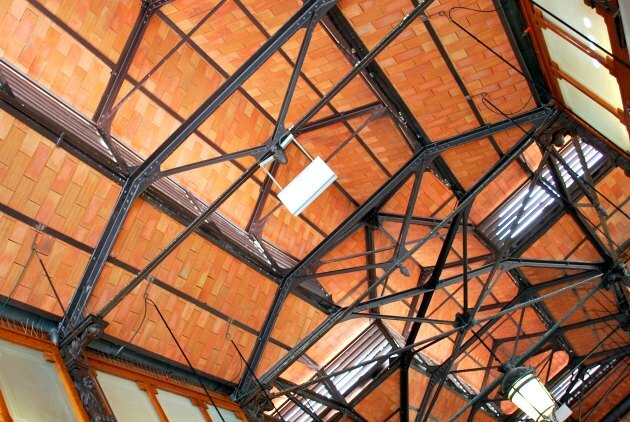 The modern glass sides fit seamlessly with the historic ceiling, so when you’re inside, don’t forget to look up! The market is well worth visiting, even when it’s busy. Just be prepared to fight your way through the crowds to see the food. It is a much more pleasant experience at quieter times however. 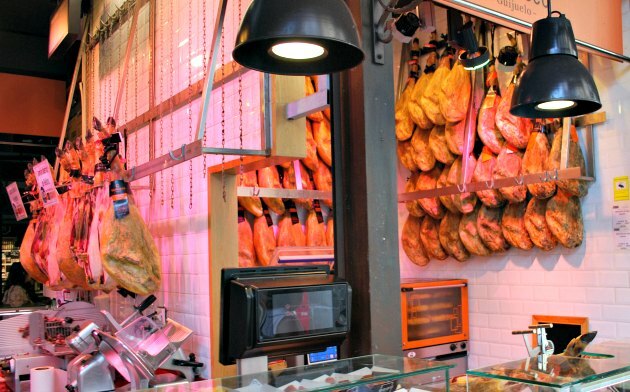 The Mercado de San Miguel is open Monday, Tuesday, Wednesday and Sunday from 10am to 12am and on Thursday, Friday and Saturday from 10am to 2am. Admission is free.